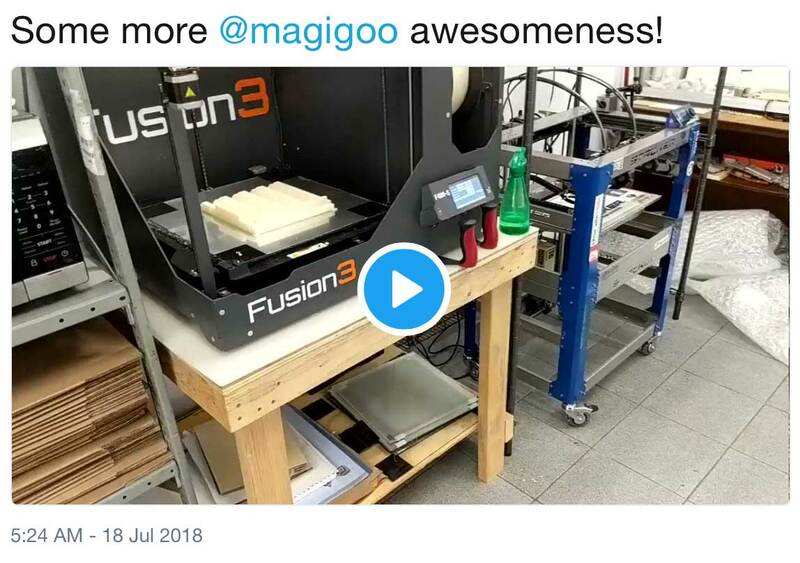 Our product Magigoo, the smart adhesive for the first layer bed adhesion in FFF 3D printing was released as a beta in late 2015. Since then the product went through multiple iterations and reached maturity, becoming one of the standards in bed adhesion solutions. The most loved and distinctive features of Magigoo are its easy release and chemically safe formulation. Jerry bought his 1st 3D printer in Jan 2014 and it was a Makerbot Rep2, with the purpose of doing print work for people. Today it has led him to have his own small printing farm and he is servicing clients in various industrial use cases, e.g. he prints for investment casting. Investment casting is basically using a mold of a part or pattern to make metal parts. The patterns are traditionally made with wax and coated with a ceramic slurrry, melted out and then metal poured in the cavity. 3D printing for investment casting is mostly useful as it cuts down on costs for the tooling or making wax patterns. Printing in PLA allows foundries to do low production runs, prototypes etc. And all types of metal foundries use that kind of patters Spectra 3D Technology prints. Its not an easy business as Jerry starts as early as 5AM and times his prints for optimal output. 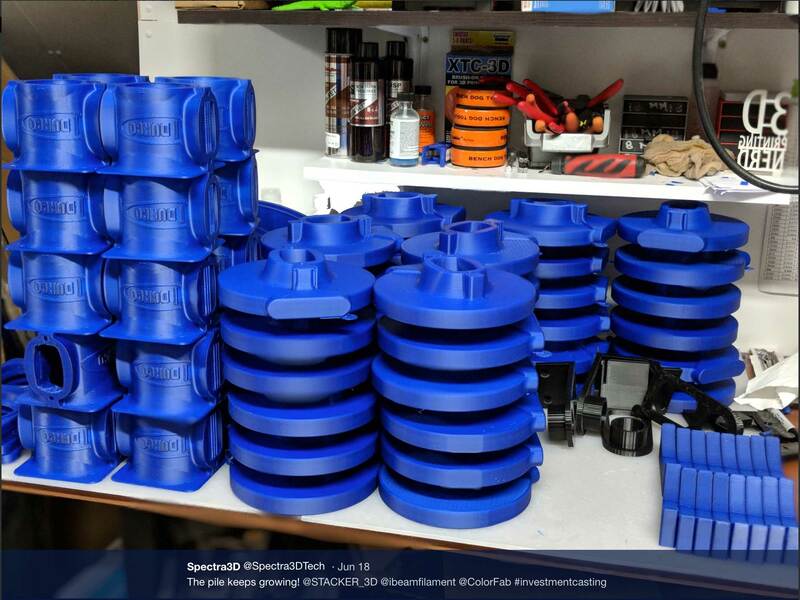 Tell us more about what kind of hardware (3d printers) and materials (filaments) you are using, and why those ? We primarily use Stacker3D printers and Fusion 3 Design printers. They hold very tight tolerances across all dimensions =/- .005. We use Ibeam Blue wax casting PLA . It burns out clean for the process. 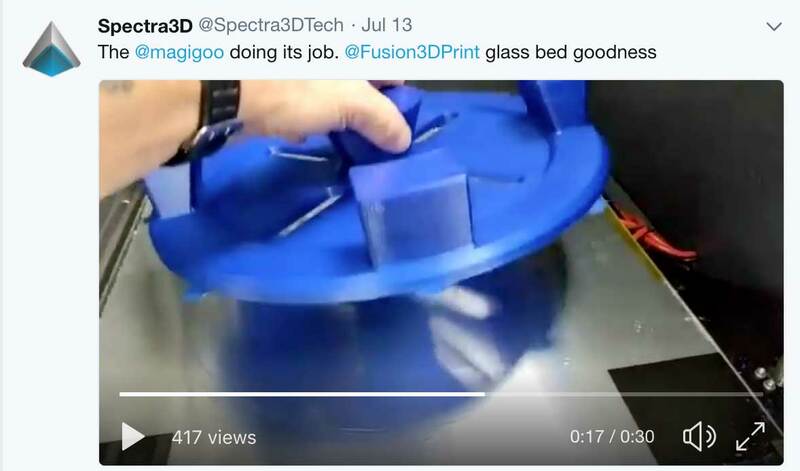 Magigoo is like magic when printing on glass - when the bed cools down the parts just lift right off with no effort. The ease of use is important - so Magigoo helps as parts never lift and it lasts for long. We saw you moving in a bigger premises lately. Tell us more where do you see your business developing? we moved into a bigger shop so we could add more/larger printers ( StackerXL) has a 24"x24"x24" build area with 4 print heads for ditto printing. We also are going to start printing PEEK and Ultem for tooling etc so we will be getting a few high temp printers. We would also like to get into the medical field for printing- we have printed a few CT scans for medical court cases and I find that very interesting.